The Taff Bargoed Development Trust (TBDT), a registered charity, was established in 1995 following the demise of the coal industry. Three mines closed and rendered thousands of people jobless for years to come. TBDT evolved from the Trelewis and Bedlinog Federation, an organisation developed by a handful of local volunteers concerned with the socio economic impact caused by the loss of so many jobs which contributed to a way of life and the life blood of the communities. 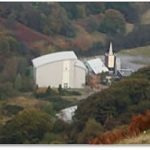 TBDT managed to gain support from the Welsh Office to grow the organisation and this resulted in the purchase of Trelewis Drift Mine. The site included land and former pit buildings and has served as the home of TBDT since. The Trust secured a Millennium Commission grant to build the Welsh International Indoor Climbing Centre and other facilities at the centre which enabled the development of up to 32 jobs for local people. Training and work experience opportunities helped many to graduate from the Centre to jobs in other sectors and embark on meaningful careers. The Trust seeks to continue to regenerate the local area through creating business opportunities and promoting education and training. TBDT also aspires to develop further enterprises in the near future that will offer opportunities to the citizens of our communities. Taff Bargoed Development Trust is governed by a board of Trustees who oversee and guide activities to promote the objects of the charity and ensure transparency. 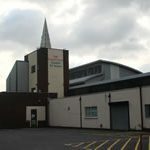 Membership of TBDT is free and available to people over 16 years of age who reside in the Taff Bargoed Catchment area of Bedlinog, Trelewis, Treharris, and Quakers Yard. Please visit the membership page on this site for details. TBDT’s Mission Statement: To contribute to, and be catalyst for, the intergrated, sustainable regeneration of the Taff Bargoed Valley. In particular looking to the future to harness the talents and energy of the young people who live in this valley. Company Limited by Guarantee 03001569. Registered charity number: 1053465.